​Imports of canola into China will undergo more thorough inspections, the country’s customs agency said Thursday, a move that comes after one Canadian company saw its permit to ship the crop to the country revoked. Relations between Canada and China have been tense since December, when Canada arrested Chinese tech executive Meng Wanzhou in Vancouver at the request of the U.S. China warned of “grave consequences” if Canada did not immediately release Meng, the chief financial officer of Huawei. Apparent targets of China’s ire have included two Canadians detained on suspicion of harming national security, a third Canadian sentenced to death, and now Canada’s eponymous oil product — canola. While rapeseed is grown in many countries, the variant known as canola is most associated with Canada. The “can” in its name comes from the word Canada, named for the variety of rapeseed created by Canadian researchers that results in a bright yellow flower and a harvest that can be used as animal feed or crushed to create a vegetable oil for eating and cooking. The Canola Council of Canada calls canola “Canada’s greatest agricultural success story” and the world’s only “Made in Canada” crop. Xanthium sp., and Amaranthus palmeri S. Watson in imported canola. It confirmed that it revoked the export permit held by Richardson International Ltd., one of Canada’s largest grain processors. The statement seems to suggest other canola shippers may soon join Richardson in having their permits revoked. 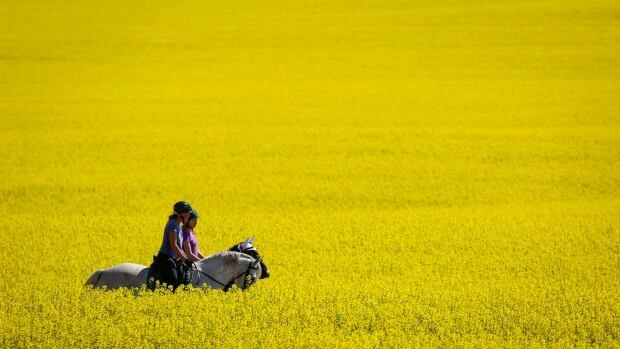 China buys about 40 per cent of Canada’s canola exports — roughly $3.6 billion worth last year — and the revocation of Richardson’s permit hurts the entire chain of industries involved in the market, the Canola Council of Canada said. The price of the crop has plunged on the heels of the uncertainty of the world’s biggest importer potentially closing its doors to much of the supply. The price of the active canola contract has fallen to $455 a tonne this week, it’s lowest level since 2016.